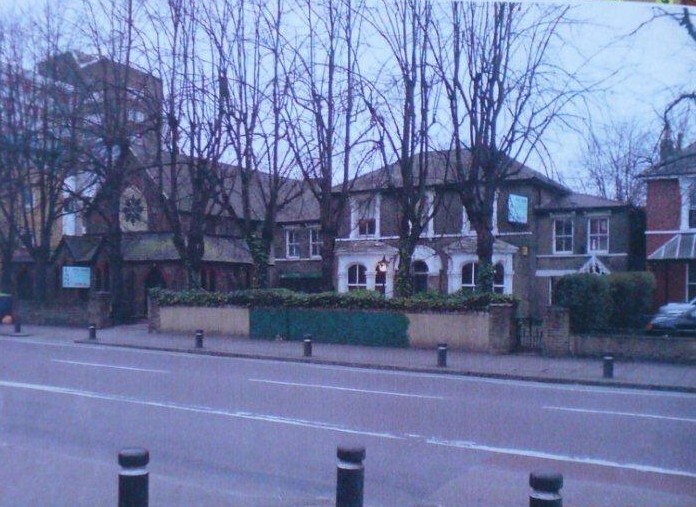 Bennett was a Newham boy, born in Canning Town in 1930, who died in Forest Gate in 2008. 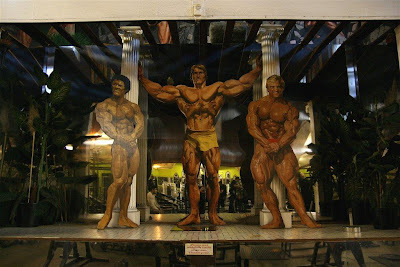 He was famous in his own right in the body-building community, but is perhaps best known as the man who "spotted" Arnold Schwarzenegger in 1966 and helped launch his career as a bodybuilder, before AS became a Hollywood star and latterly governor of California. 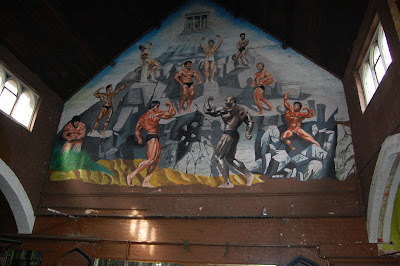 Wag was one of the judges at the Mr Universe competition in 1966 when Schwarzenegger, aged 19, was beaten into second place. 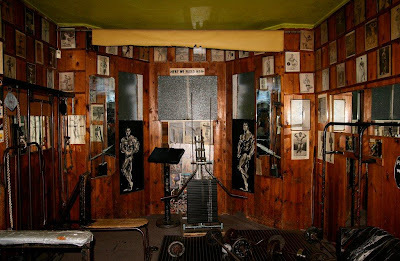 Something about the young Austrian impressed Bennett and his wife, Dianne, and they invited him to live with them and their six children in their flat above the Romford Road gym. Wag trained him and took him to see his first ever movie, at the Mile End Odeon, while Dianne taught him English. 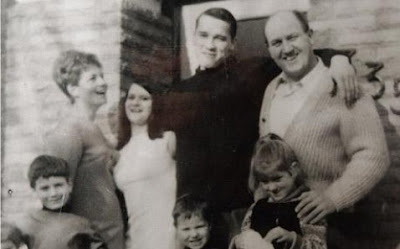 Arnold stayed with the Bennetts, whom he called his "British parents", between 1966 and 1968, during which time he became Mr Universe for the first time. By a bizarre co-incidence this covered the very time when Jimi Hendrix appeared at the Upper Cut club, just around the corner in Woodgrange Road and where he composed the iconic Purple Haze, on Boxing Day 1966. This incident will be a feature in a future E7 Now And Then post. We do not know whether Schwarzenegger and Hendrix met then, or, indeed, subsequently. Schwarzenegger was not the Bennetts' only claim to fame. 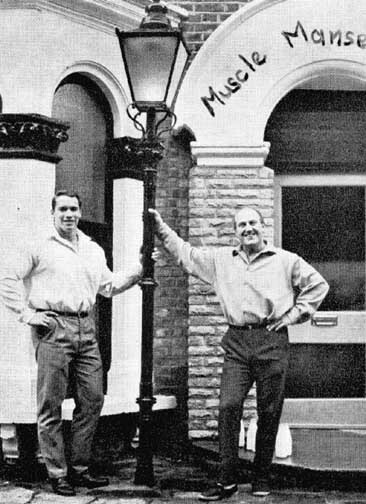 Dianne coached a troupe of muscle-women 'Dianne Bennett's Glamour Girls' in her gym on the corner of Green Street and Romford Road. Wag trained a number of other muscle-men, including Mr Universe title holders Reg Park and Robby Robinson, as well as the Incredible Hulk, Lou Ferrigno. 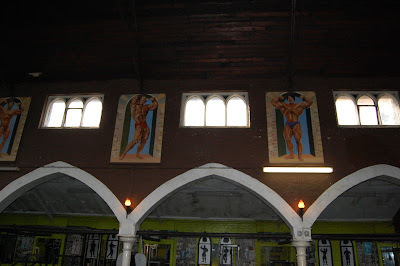 The gym became almost a shrine to British bodybuilders and much of its interior, during its prime, displayed more than passing references to religious imagery, as some of the archive photos, below, show. It remained a working gym well into the 21st century, as a couple of photographs illustrate. 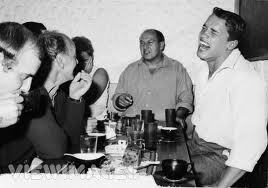 Schwarzenegger kept in touch with Bennett for over 40 years, as the photos below indicate. 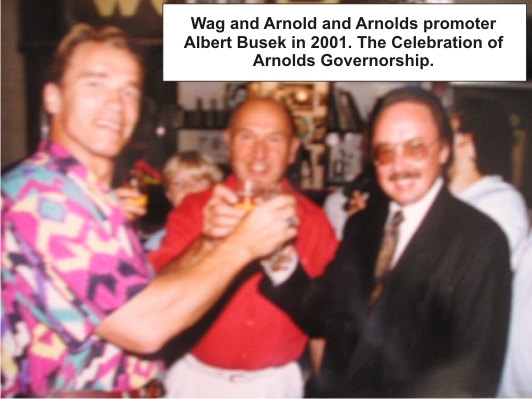 Arniold sent a memorial message to Wag's funeral in 2008. 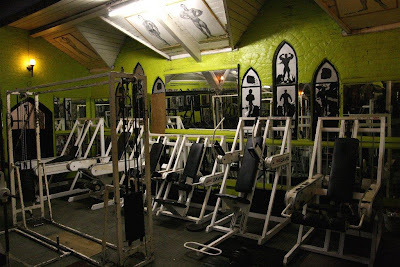 The gym from the outside seemed like the small church hall that it had originally been, next to just one more of the triple-fronted houses on Romford Road, until it was put up for sale, following Bennett's death in 2008. 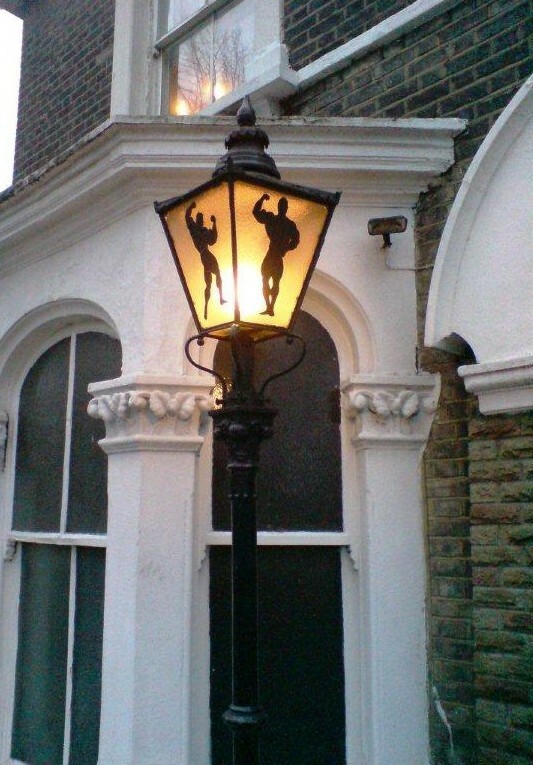 Perhaps the only external sign of its bodybuilding-gym-role came in the form of the lamp post that illuminated the front doorway to the now-damaged house. 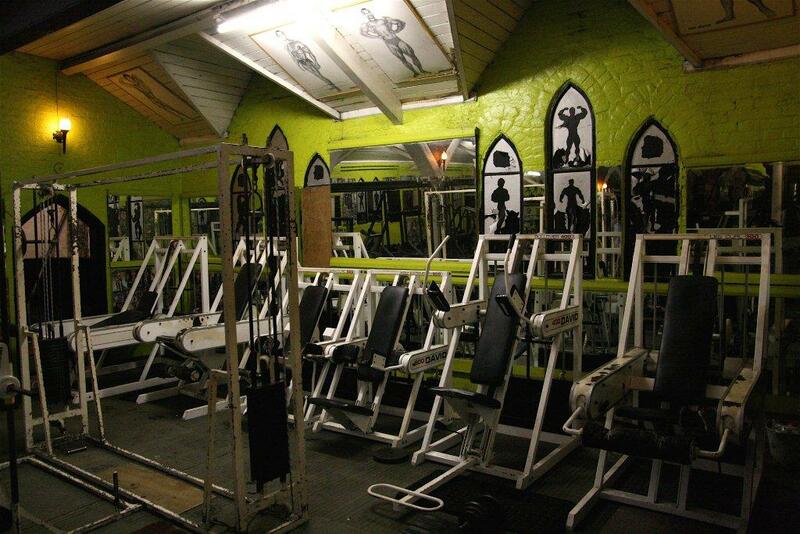 Some of the internal shots of the gym, before it closed, won't be to everyone's taste. The images have more religious overtones, in their dedication worship of 'the body beautiful'. Given the almost religious nature of many of the displays in the gym, it is perhaps fitting that the building has reverted to its original purpose since its sale by the Bennett estate. It is now the home of the Destiny Apostolic Church International. 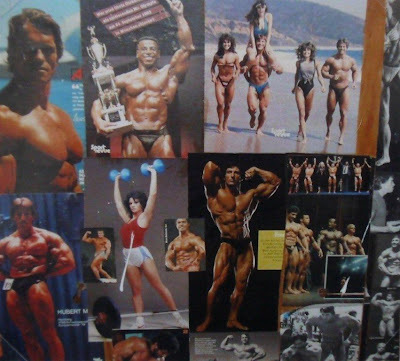 Our thanks to the body building community, and Neil Beaumont for use of many of the images on this page. One of the most viewed articles on this site was the first (it's been all downhill since! 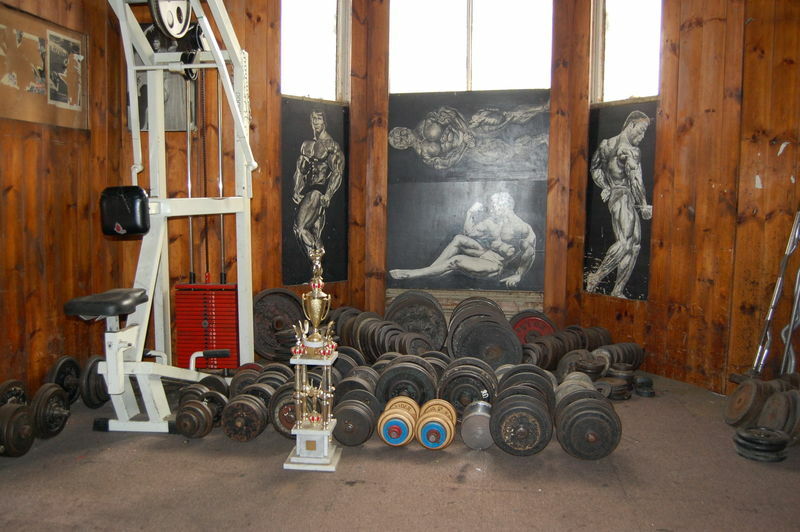 ), on the fire at Wag Bennett's gym, on Romford Road in April 2013. The post has been viewed by a large number of both body builders and Arnold's fans, as far as we have been aware. 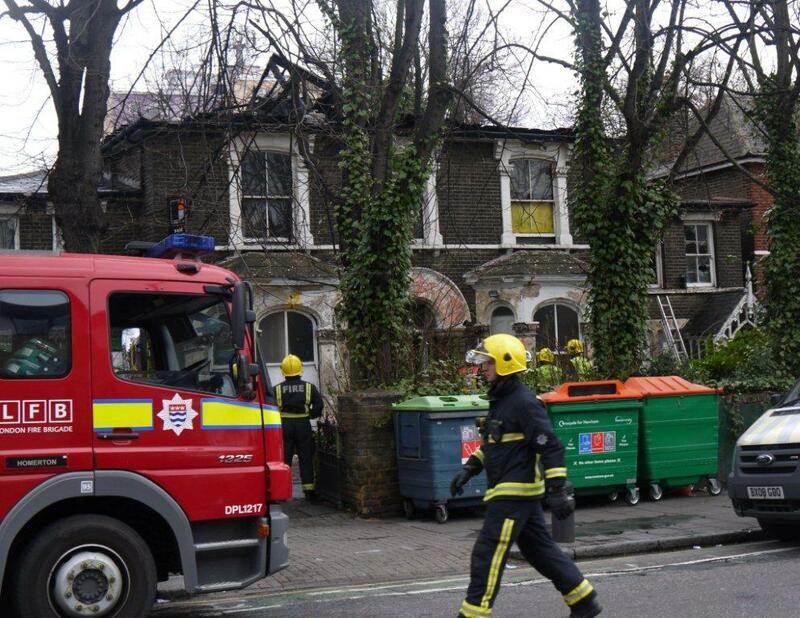 Not all of them will pass the sorry state that is the building, eighteen months after the fire. The building has been squatted and vandalised, but has more recently been boarded up and secured. Quite how effective this will prove to be, without a roof(! ), remains to be seen. So we are producing a two photos taken a couple of days ago, primarily for the benefit of blog visitors from beyond our local boundaries. The original article, with these photos as a postscript can be accessed here.